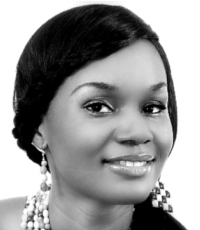 Chioma Nnani calls herself a Blood-washed, God-chasing storyteller. She holds a Law (LLB) degree from the University of Kent, Canterbury; and a PgCert in Food Law from the De Montfort University, Leicester. She is the award-winning author of FOREVER THERE FOR YOU, scheduled to release THE TRIPLE-R SERIES (a no-holds-barred series aimed at teenagers) in 2014, and is working on her second full-length novel. She is a ghost-writer and producer, who is set to launch her publishing firm in 2014. She has also guest-blogged for WOMEN & AFRICA, and MATKOUB MAGAZINE. You can sign up to www.chiomannani.blogspot.co.uk, follow @ChiomaNnani on Twitter, or connect with her on LinkedIn.